Last year, Amy Chua managed to push a whole set of collective parenting buttons when she asserted in the Wall Street Journal, and later in her book Battle Hymn of the Tiger Mother, why Chinese mothers are superior-- apparently to us Western parents who let our kids attend slumber parties and take lowly "villager" parts in school plays. Now, almost exactly a year later, the Wall Street Journal brings news of a new book about another group of superior parents halfway around the world, who have successfully spawned submissive, docile, vegetable-eating children to rival the Chinese -- Voila! The French. At first glance, Pamela Druckerman's Bringing Up Bébé: One American Mother Discovers the Wisdom of Frenc... (which bears the wonderfully succinct UK title, French Children Don't Throw Food) seems to be getting about the same derisive response as the Tiger Mom tome. As well it should. While there may be some fine advice in both books, which seem a pendulum-swing antidote to the culture of helicopter parenting, it's always a bit difficult to swallow the notion that a whole culture has this parenting thing down, while ours does not. And, of course, these types of books play on the anxiety any thinking parent drags around from playground to play group -- am I doing this right? Is something wrong with me or my kids?! Druckerman's book, in particular, appears to have some valuable insight about life skills like delayed gratification and the ability to entertain oneself, good tools for children worldwide. Part of the problem, of course, is in the incendiary messaging and packaging of these books -- but then books that don't generalize and pit nations and groups against one another probably don't sell as well or garner the attention of the Wall Street Journal and others. 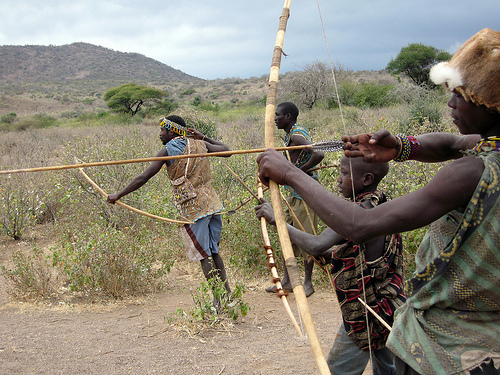 The changing world will certainly need more hunter-gatherers, who are resourceful, quick-thinking, creative and flexible. I, for one, will stake my lot with the hunter-gatherers. The Chinese and French methods weren't working out so well anyway.